From 2018.02 to 2019.02, total export volume of Terephthaloyl Chloride from China was 91,118,885KG while total export value was $330,095,618. The biggest proportion of exporting volume in the last 12 months was 9.49% in 2018.03. 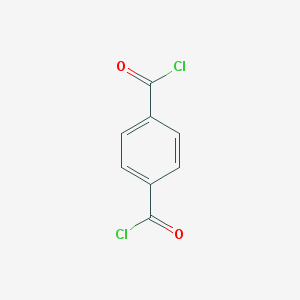 From 2018.02 to 2019.02, total export volume of Terephthaloyl Chloride from China to America was 9,451,067KG while total export value was $55,949,493. The biggest proportion of exporting volume in the last 12 months was 9.73% in 2018.07. From 2018.02 to 2019.02, China has exported Terephthaloyl Chloride to 59 countries in total. Country ranks by import volume from high to low is Korea, Taiwan, America, Japan, India, Malaysia, Vietnam, Indonesia, Saudi Arabia, Thailand. The highest export volume was China to Korea, accounting for 14.40% of the total volume of China. Shandong Kaisheng New Materials Co., Ltd.
Jiangsu Yancheng entrusted ball Chemical Co.